Ground shaking news coming from Tangent x Merry Go Round! Mohawk is on the loose and heading to BTS 2018 this weekend. Destroying all cuteness in his path, Ok that fake news but whats real is Mohawk has a colour change for this weekends BTS. From the designer who brought you the lovable HOGKEY Tan Chawinpon of Tangent x MERRY GO ROUND toys present to you the full reveal of the second colourway! 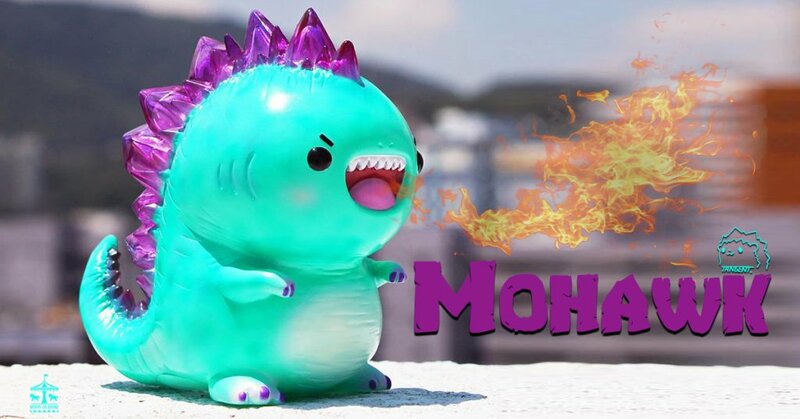 Meet Mohawk, the cute kaiju that’s learning the trade of becoming a fearsome kaiju. Mohawk has the Tangent signature style with the crystals that made HOGKEY the standout from the crowd and we predict Mohawk will have as much success as HOGKEY. 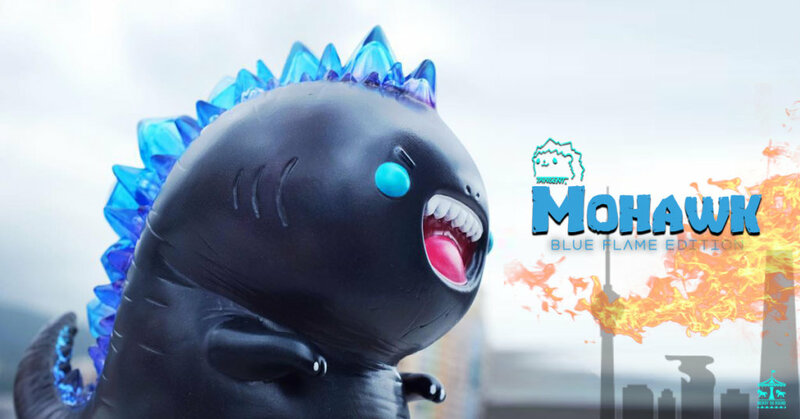 Can you handle Mohawk Blue Flame edition? 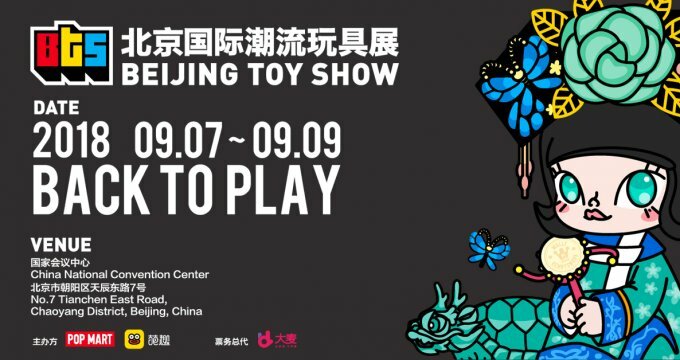 Merry Go Round Booth #C23 For collectors who can’t make it to BTS, stay tuned for an international release. Need the OG Mohawk? Our buddy at https://strangecattoys.com has a handful left!